Luxemburg/Leverkusen, 30 September 2014 – the Essen location of TMD Friction, world-leading manufacturer of automotive brake pads, undergoes modernisation and expansion. The company is planning to modernize its production plant in the Ruhr metropolis as part of one of the biggest investment projects in its history. Together with the use of innovative technologies, Essen is to become the global competence centre of the “Original Equipment Passenger Car” (OE-PC) business division within the TMD Friction Group. The project, officially approved today by the parent company Nisshinbo Holdings Inc., involves the expansion and modernization of the Essen production site. Associated with this is the gradual consolidation of the Essen and Leverkusen production sites into the fourth-largest city in North Rhine-Westphalia. TMD Friction will consolidate its OE-PC capacities in Germany over the next three years, thus strengthening its long-term competitiveness. The ground-breaking ceremony for the enlargement and modernisation of production in Essen will take place in late 2015. The building work will have progressed to such an extent by mid-2016 that the first Leverkusen employees can start work in Essen. Production in Leverkusen will be fully shut-down by the end of 2017. Producing in Essen is the best option for the planned modernisation and expansion due to its local and infrastructural conditions as well as the available space. Pooling the two production plants will make Essen TMD Friction’s global competence centre for automotive OE-PC original equipment. The most up to date production facilities for friction materials will be in production by 2018 and equipped with the latest production processes and raw material mixing facilities, the entire automotive product portfolio can be produced at the site. In contrast to many other companies which relocate their production to low-wage countries, TMD Friction believes Germany and NRW to be a stable and beneficial location for its high-tech and performance products. The required qualified personnel for the expansion and modernisation of production in Essen will come from our own ranks. The proximity of the Essen location to Leverkusen makes it possible to bring the Leverkusen employees to Essen, thus guaranteeing an even more qualified workforce than would be the case with hiring new specialist staff. The company relies on the latest production technologies to maintain competitiveness in the long-term. In contrast to Essen, Leverkusen does not have any space for an expansion or modernisation of production to the same extent. 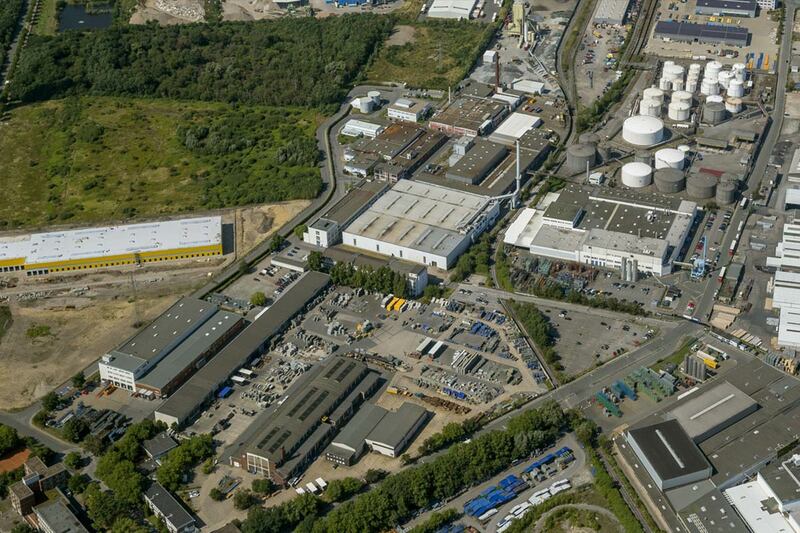 Leverkusen will continue to be the central headquarters of the TMD Friction Group in Germany. All group functions will remain here, along with the central Research and Development department and the business divisions already based here – Independent Aftermarket, OE Commercial Vehicles, and Rail & Industry.